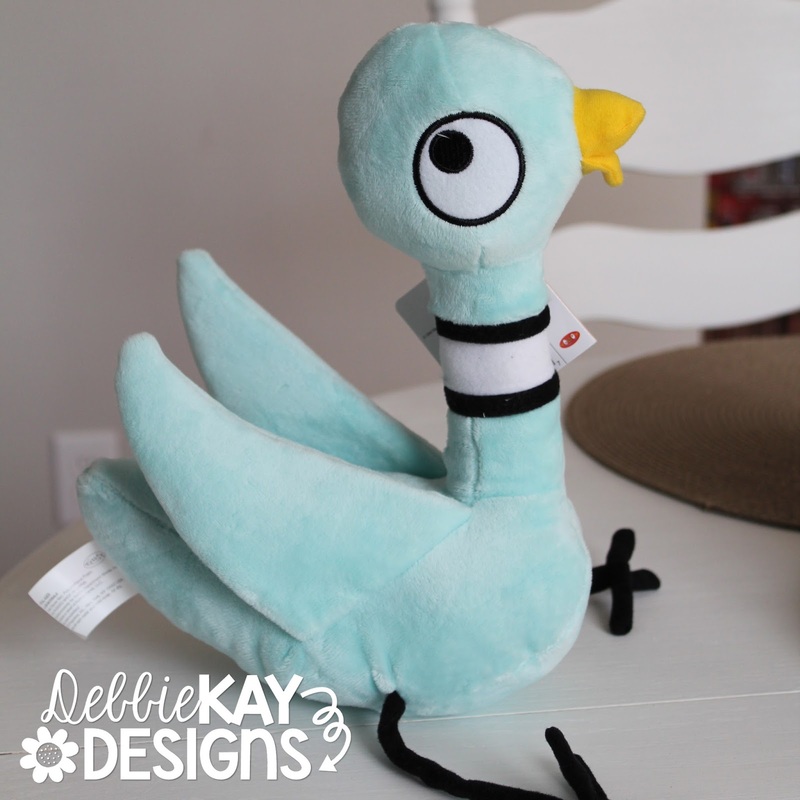 debbie kay designs: The Pigeon!!!!!!! Don't Let the Pigeon Go to School! Oh, who am I kidding? This pigeon MUST come to school with me! Run, don't walk! Kohl's does it again with their selection of books and stuffed animals supporting Kohl's Cares. This time it's Mo Willems book characters. Oh. My. Goodness!! I did a whole writing unit on the Pigeon books this last year with my first graders and it was a HUGE hit! My kids loved the Pigeon and I know they will love having this little guy sit in our classroom this year. P.S. You can find other characters, too! Elephant, Piggie, Knufflebunny... I just LOVE that Pigeon!